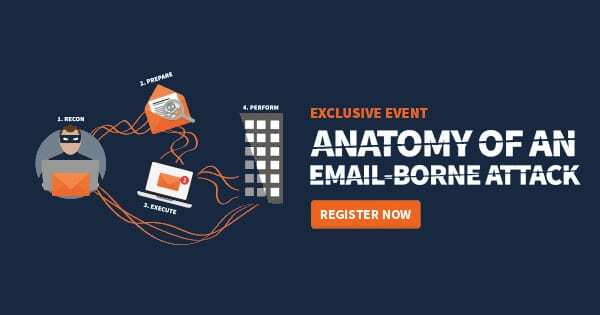 Upcoming Webinar: Anatomy of an Email-Borne Attack | Wed. Nov. 15th at 2:00pm and special guest, Anthony Vozella from Mimecast, a leading email security provider, for a live webinar: The Anatomy of an Email-Borne Attack. During this session we'll paint the current threat landscape for attacks and demonstrate an actual live 'hack'. Ever wonder why it's so easy for cyber criminals, hackers and other unwanted threats to enter your organization, steal your data, or hold it for ransom? Email is still the biggest entry point into your organization for an attack. Email-borne attacks are debilitating so it's critical to review your security practices to ensure you're protected on all fronts. Join Business Tech Talks and special guest, Anthony Vozella from Mimecast, a leading email security provider, for a live webinar: The Anatomy of an Email-Borne Attack.